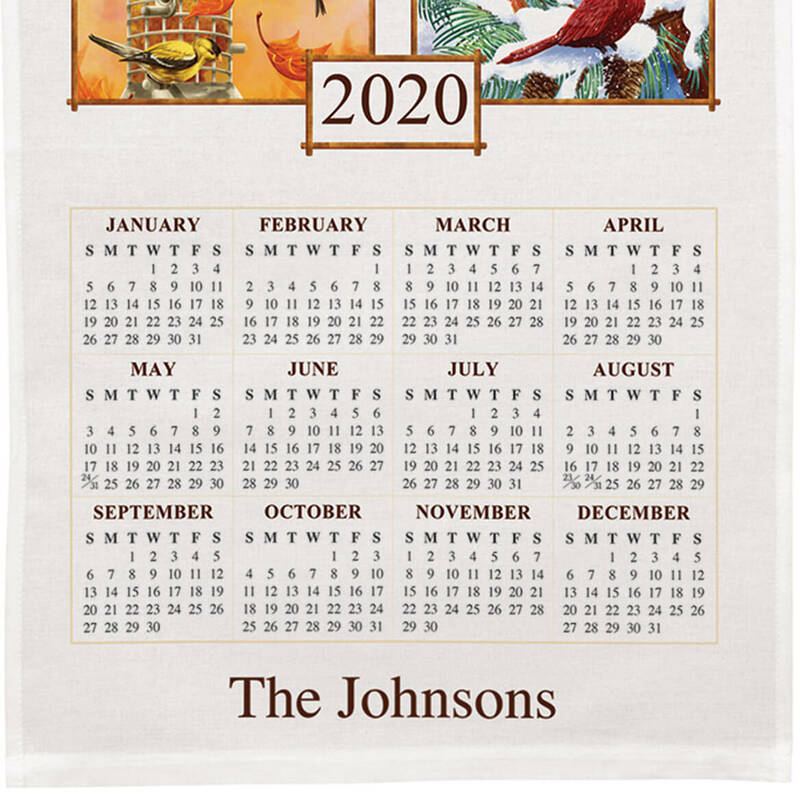 I got this as a Christmas gift for my mom, and I know it will reminder her of the calendar towels that my grandma used to have hanging up in her kitchen. The shipping could have been a little cheaper, but other than that, great item! This is the only location I know about which consistently carries beautiful cloth wall calendars. I have given one to my wife every Christmas for 51 years. I order this towel every year and love the choice from Miles Kimball. Good selection and thank you for continuing to offer this item for purchase. Having a cloth wall calendar each year is a family tradition. It is paced on the wall by the kitchen table and makes looking at yearly dates convenient. Christmas present , they look forward to one every year, love them. This is a great way to let someone know you are thinking of them all year long. It can be used after the current year is over as a nice dishtowel. I always count on getting this item from Miles Kimball. Previously ordered calendars as gifts with personalization and Miles Kimball has always completed orders as requested. We have been giving my mom this kind of calendar ever since my grandma passed away in 1987, and we wanted to keep up the same tradition that my grandma had started! My sister-in-law and I have exchanged calendar towels since the mid 1960s. It's tough getting one she doesn't already have, so I look for the new ones each year. This is new and also has the birds on it which she loves. your catalog is the only one that I have found that offers linen calendars. My sister is an avid bird watcher so this is a perfect addition to her kitchen. It was a 'NEW' design. My Mom had a tradition of making calendars for Family members. My Mom passed away in 2015 and I am keeping up the tradition in her memory. 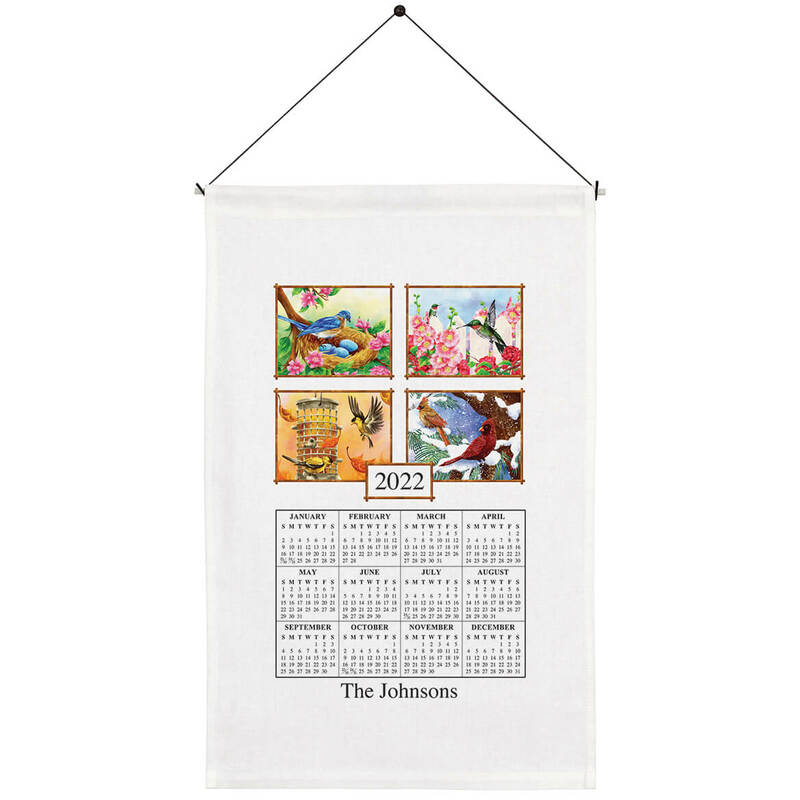 I always have a linen calendar towel on the wall to see the year at a glance. Family tradition for over 60 years.